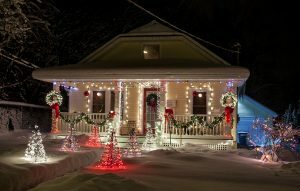 LAKE PLACID, NY — The Lake Placid Village Holiday Decorating Contest Committee is alerting all decorators that this year, the annual contest will coincide with the Lake Placid Holiday Village Stroll slated for Dec 7-9. The winners will be announced at the tree lighting ceremony on Saturday, December 8. Residents and businesses who would like their property to be judged should be fully decorated by Monday, December 3rd for judging on December 4-5. 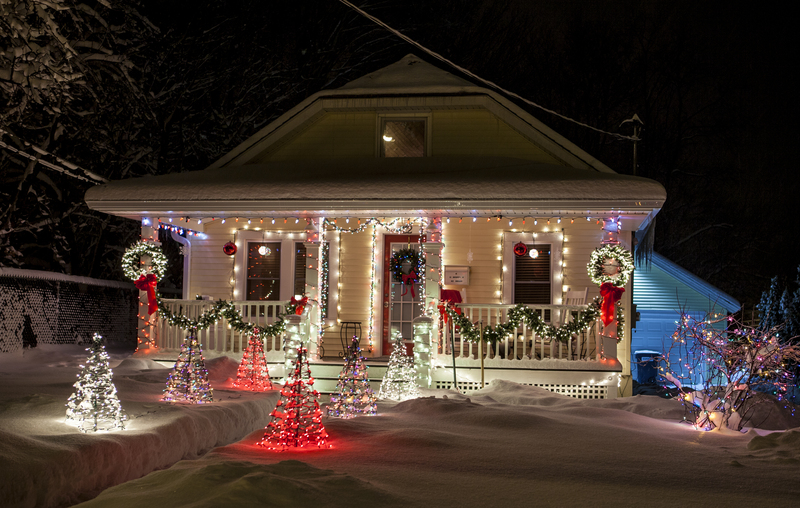 Judging will begin around 5 p.m.
A panel of judges will select the properties whose decorations, in their collective opinion, represent the best of Lake Placid. Winners will be selected from several criteria, listed below. Judges are volunteer representatives from the community. The committee is supported by staff from the Lake Placid CVB/Regional Office of Sustainable Tourism. Residential participants should contact Bethany Valenze, events and service coordinator, at the Visitors Bureau by Monday, December 3 to ensure they are not missed. Contact her at bethany@lakeplacid.com to be added to the list if you’re off the beaten path or outside the boundaries, or with any questions. This is especially important for those who are located outside the main village area, roughly bounded by Old Military Road, Route 73 to the ski jumps, Saranac Avenue to Price Chopper or past Cobble Hill Road.